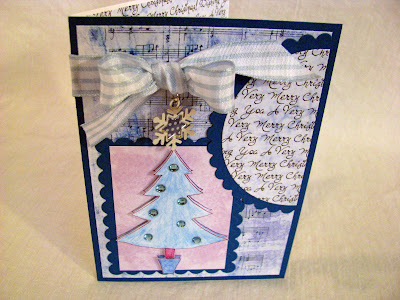 Scrappin' with DeeDee: A Very Merry Christmas To You! 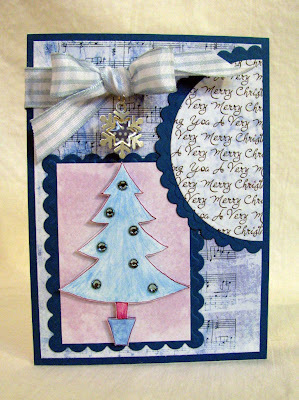 Today I have another Christmas card I made using an eKit called Christmas Original from Making Handmade Cards. 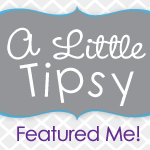 This kit is filled to the brim with so many cute papers, elements and sentiments! 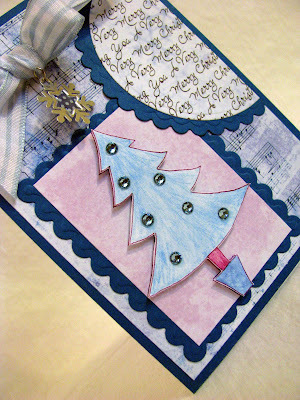 This little Christmas tree is just one of many extra cute designs you'll find in the kit. It looks like it was colored with crayons.....I think I may have drawn and colored a tree or two or MANY just like this when I was a kid! LOL! 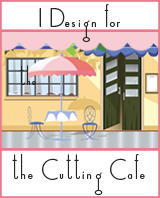 How about those music papers and the sentiment background papers, too CUTE! 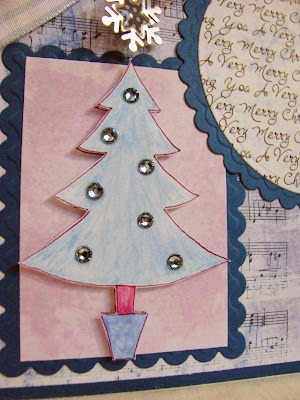 I used my Nesties to cut out the circles and rectangles...they make for an easy and fast card to go together! Love 'em! Of course I love all the kits over at Making Handmade Cards, but this one has got to be one of my favorites.....of course it could be because it's all about CHRISTMAS, my favorite holiday! That's it for now. I am so proud of myself for getting my Christmas cards started early! Maybe I won't have to rush at the last minute like I normally do! LOL! THANKS for dropping in to see me. HUGS! What a cute card. This kit looks like a good one. It just helps to have your talent in knowing how to put the kit elements together!! !